Vintage Analog Audio signal Processors - Exciting rare finds! Description: Vintage USA made PRO - Gear. Use to measure frequency distribution of your PA in live sound situations, for frequency response curves of speakers, or other scietific / electronics applications. This unit offer a built-in pink nouse generator with front panel output (1/4") and it offers both line (1/4") and Mic (XLR) level inputs. The noise source can be turned on/off with a switch. The input can be accurately attennuated over a wide range: There is a 11 step attenuator switch ranging form -120 to -70 dB plus an input range switch that allows to drop the signal an additional -20 dB. The display section of the unit allows to set weight curves: flat, C, A. There is decay time control for slow, fast and hold. The display serves 10 bands (31.5, 63, 125, 250, 500 Hz, 1 Khz, 2K, 4K, 8K, 16K) in 10 signal level steps (-20 to +3 dB). The unit was refurbished and work included: to re-solder about 85% of all solder points. To replace 2 aged capacitors. To de-oxydize and re-lubricate all controls and switches. And physical cleanign an detail work. Condition: Good physical condition, soem signs of age and use, but overall clean. Electronics re-worked. Tested and working well. Lot: 1 TEAC audio processor rmodule as described. Dimensions: (aprox. ): 15" x 7" x 4"
Price: $135.00 This price reflects the work time that went into this piece of equipment. Description: A voice processor and PA to pitch shift music, mix and amplify for public address output. This machine basically provides two mic inputs adds echo as desired and mixes that with any of the 3 available music sourceputs. The unit pich shifts the music to various keys at the push of a button to match the music key to a singers vocal range. It has a built-in stereo power amplifier for direct speaker output, but also provides a line level output for recording. There is an internal effects loop to which an external effects processor can be connected and the unit also selects video inputs. Detailed Features: (All contols elemnts as seen at the FRONT PANEL, top to bottom, left to right, per channel): 4 sections: 2mic, Echo and Music: Mic 1 + Mic 2 (separate for eachg channel): 1/4" Micinput, -20db gain switch, Volume, Balance (pan), Echo amount, Low, Mid, High, Echo section: Mono/stereo switch, Volume, Low, High, Repeat, Delay time; Music section of the mixer: volume, balance (pan) Low, Mid, High; Pitch Shifter section (located at right, top): 9 LED's for pitches: flat 4, 3, 2, 1, 0, sharp 1,2, 3, 4,, 3 push buttons to lower, raise and center the p[itchshifitng; 2 push buttons for audio a or B input; Mic Master Level Control, Music Master Level Control; Power indicator LED (blue) and power switch REAR PANEL: Voltage Selector switch: 110/220V, The unit was designed for 115 or 230 V AC. Fuse terminal, AC inlet, Speaker connectors (l, R) remote control input, Volume reset switch: ON/OFF, Air vent, 2 1/4" Mic inputs, 2 Video inputs, 2 Video outputs, RCA outputs: Mic, REC, Line, 2 audio inputs: A, B; Effects Loop inputs/outputs. Condition: Works perfectly; Excellent condition: Minor Signes of use which can only be found upon close insepection. Description: This unit features two 10 band graphic equalizers (to conrol each of the stereo chanels separately), a Spectrum Display and a stereo enhancer. The unit is desinged to hook into the "Tape Monitor" loop of any amplifer / stereo receiver and offers in addition expansion for two tape devices to be connected ot the equalizer, adding one extra tape input to your audio system. The equalizer also has switches to facilitate varios copy functions for the provided tape connectors, which includes to record through the equalizer for sound enhancement purposes. 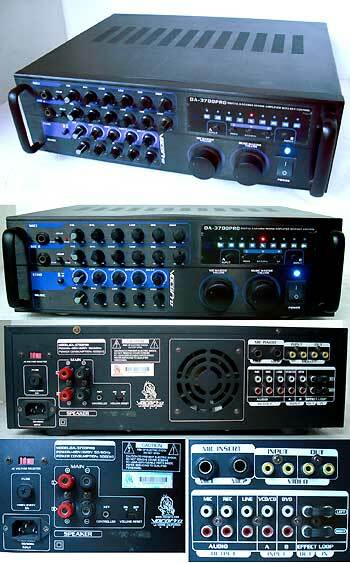 The unit operates on standard RCA tpe unbalanced line level connection and can instead of with Hi-fi stereo equipment be used with recording equipment for example such as connected to the line level connectors of a mixing console. Features: FRONT: Power switch, Display Level slider, 10 slider controls for the equalizer frequencies for the left channel, spectrum display, which offers 10 bands with 8 LEDs each (green, yellow, red), 10 slider controls for the equalizer frequencies for the right channel. IMX levle fader, EQ record push button switch, Bypass switch, IMX Expander push button switch . Row of 4 push button switches: Tape monitor: 1, 2; Tape dubbing: 1 to 2, 2 to 1; REAR: 12 RCA in/outs for: Line IN/OUT, Tape 1 REC/ PLAY, Tape 2 REC/PLAY; Power chord. Work performed to restore this unit: treated all controls and switches with quality contact cleaner, Physical cleanign and etail work, full and exteneded functional test. Price: $ 85.00 Old skool analog EQ at a steal! Description: This Numark quality graphic equalizer features two 10 band graphic equalizers (to conrol each of the stereo chanels separately), The unit is desinged to hook into the "Tape Monitor" loop of any amplifer / stereo receiver, there is an exta output to possibly feed into another device. The unit operates on standard RCA tpe unbalanced line level connection and can instead of usage with Hi-fi stereo equipment, to be used with recording equipment, for example such as connected to the line level connectors of a mixing console. Price: $ 65.00 Old skool analog EQ at a steal!